Incorporated in March 2007, Panache Digilife Limited (formerly known as Vardhaman Technology Ltd) is engaged in Information and Communication Technology manufacturing, distribution and services. The company is a turnkey manufacturer with the ability to bring customer’s original concept and ideas into series production. Panache Digilife is an ISO 9001:2008 certified company and offers various IT infrastructure products and embedded solutions. The company caters to both domestic and international markets with customers based out of Dubai, Iran, Riyadh, Sri Lanka, etc. To expand its operations, it has recently incorporated a subsidiary in Dubai. Panache Digilife is also Local Device Partner (L-OEM or Named Partner) for Microsoft and also has a Microsoft License Agreement. Panache Digilife aims to provide cost effective electronics manufacturing solutions available while adhering to the high standards of the service, delivery and quality. It has a diverse product basket comprising of thin clients, point of sales, digital signage, education solutions, healthcare embedded – PC, ATM Kiosk, etc. 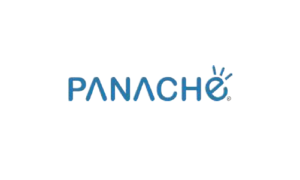 Recently, Panache Digilifehas also added GPS Tracking Solutions and televisions to its product portfolio. Panache Digilife IPO allotment status is now available on Bigshare Services Private Limited website. Click on this link to get allotment status. Topline growing but profit not, something is wrong with such companies. Just look at some latest listings in sme ipos -not good at all. Dont invest your hardearned money in these bogus ipos..